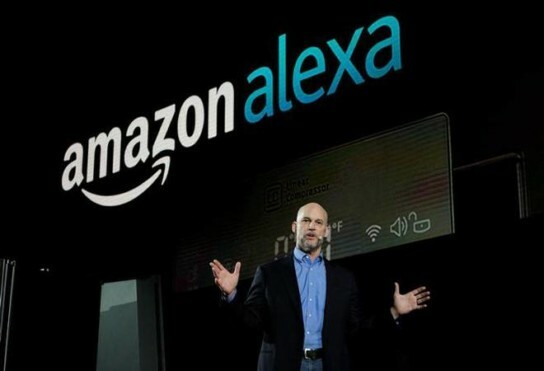 Amazon has started rolling out an app update that will bring Alexa, the voice assistant that powers Amazon’s smart speakers, to the Android platform. The 93.7 MB app is already available for download from the Play Store. After logging in to the app, give it permission to access contacts, microphone and location. Once done, tap on the blue circular icon at the bottom to activate Alexa. Just like with Siri and Google Assistant, Android smartphone users will be able to talk to Alexa using the Alexa app on their smartphones. Alexa can fetch information on the weather, nearby restaurants, movies, music and more. The app will also show on-screen responses for additional details like weather forecasts, sports updates, movies and show times and calendar appointments. One thing you can’t tell Alexa to do isswitch off Bluetooth or download apps from the Play Store. Alexa can also be selected as the default voice assistant app on the smartphone but only on devices running Android 5.0 and above. By tapping on the ‘assist app’ under Assist &Voice Input, you can select Alexa as the default voice assistant app. Instead of accessing the voice assistant every time from the app, download the Alexa Voice Shortcut Widget.